What is Little Space Heroes? Little Space Heroes is a safe and fun online game for kids that is free-to-play. In this amazing new virtual universe, kids get to create their own Space Hero and explore a galaxy full of fun and adventure. Little Space Heroes is all about adventure, discovery and friendship. Children are encouraged to work together as they go on quests, play mini-games and solve mysteries. Learning the art of team-play and sharing, socialising and communicating are cornerstone elements of Little Space Heroes. We encourage good behaviour and inspire kids to be the best heroes they can by way of our Space Hero Code. We know how much kids love to express themselves. Little Space Heroes lets players customise their own character and create their own stories, with plenty of opportunities for role playing and imaginative play. We offer premium memberships for players that want unlimited fun and adventure. 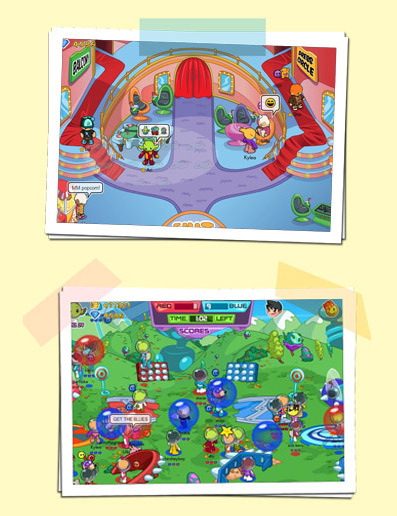 Little Space Heroes is made by Bubble Gum Interactive, an independent children's entertainment studio. We know that children love to connect, share and interact with their friends. Increasingly, children want to do this online. Many of our team are parents ourselves so we also understand the concerns parents have regarding their child's use of the internet. Safety is of utmost importance to us. Little Space Heroes combines carefully controlled registration, parental controls, safe chat options, profanity and inappropriate language blocking and in-game moderation to ensure that our players can enjoy themselves in a safe online experience. We are 100% advertising free. We have established relationships with law enforcement and online safety bodies. For more safety resources and information please visit our Safety page. We welcome all questions, comments and feedback. Please Contact Us. Our Community Moderator team will respond to your question promptly. Thank you for taking the time to learn more about Little Space Heroes. Little Space Heroes is designed primarily for kids aged 6 - 12 but we know that many parents enjoy playing the game too. It just goes to show, there's still a kid in all of us! Little Space Heroes has been independently rated as E for Everyone by the Entertainment Standards Rating Board (ESRB) and PEGI OK by the Pan European Game Information System. Little Space Heroes has been awarded the FamilyFriendlyVideogames.com Seal of Approval, a Parents' Choice Approved Award as well as accolades from parenting and gaming magazines, websites and organisations. LittleSpaceHeroes.com is certified by the kidSAFE® Seal Program. The kidSAFE® Seal Program is an independent certification service and seal program that reviews and certifies the safety practices of children-friendly websites and applications, including kid-targeted game sites, virtual worlds, social networks, PC and mobile apps, web-connected devices, and other similar online and interactive products. Click on the seal or go to www.kidsafeseal.com for more information. © 2011 Bubble Gum Interactive, Inc. All rights reserved.